Dr Daryl Brown, Headteacher at Maple Hayes Hall in Lichfield which is a school specialising in teaching dyslexic children, has written in the TES about how the introduction of EHC (Education, Health and Care) plans in 2014 has created problems in SEND provision in schools. His experience has been that local authorities are reluctant to do the necessary assessment tests on struggling children because if found to be in need of extra support the council has a legal duty to follow up with funding for the necessary support up to the age of 25 where needed. EHC plans are more complex than the previous statements of SEN, which had six sections. EHC plans have twelve sections. Dr Brown is aware of the frustrations of parents trying to get their children assessed so they can access the support they need. The process has become lengthy and expensive as the parents are having to fight every step of the way. Sally Magnusson’s 26 year old son Rossie Stone who was diagnosed with dyslexia aged 11 has turned his innovative technique for learning into a range of educational comic books. He used to turn his notes for his Highers studies into comic book form with smaller text boxes with images alongside. He found the technique helped him to learn the content. Having done a degree at art school he founded Dekko Comics three years ago. The company produces monthly issues, which feature maths and English in every issue. Two Scottish Local Authorities are already using them in their schools and they receiving a lot of interest and acclaim. A team of Norwegian researchers claim to have discovered another ‘gene for dyslexia’ and have written up their research in the Journal of Medical Genetics. They investigated 36 members of a Norwegian family to look for patterns in their genes. The family has a number of members with developmental dyslexia who exhibit a different processing pathway in response to phonological tasks and have impaired discrimination of both rapidly presented visual and auditory non-verbal information. The team are adding to the on-going threads of research that document the array of genes that seem to be involved in dyslexia. This entry was posted in Uncategorised on 30 Jun 2018 by Rebecca Young. ‘The Mirror’ reports that Paul Whiteman, general secretary of the National Association of Head Teachers and Helen Boden, CEO of the British Dyslexia Association, along with twenty-four other charities, have sent an open letter to the Chancellor, Philip Hammond, stating that children with Special Needs like dyslexia, partial sight, autism or learning difficulties are being the hardest hit by the government’s policy of austerity. The spending cuts in education are meaning that these children are not getting the help and support they so desperately need. The NAHT conference to be held in Liverpool in May is going to demand that the government provides more funding for children with complicated needs. The Scottish Children’s Services Coalition (SCSC) have called on the Scottish Government to review how local authorities are supporting children and young people with complex and high level needs. There has been a decline in the number of children with additional support needs (ASN) such as autism, dyslexia and ADHD receiving a so-called Co-ordinated Support Plan (CSP). Having a CSP entitles the child to additional resources and places statutory duties on local authorities to review and ensure that the support provisions contained within the CSP are being met. Local authorities are more reluctant to provide CSPs due to the on-going cuts in health, education and social work services. The British Dyslexia Association (BDA) has released its 2018 Style Guide which aims to encourage designers, businesses and teachers to consider dyslexics when making typeface, colour, spacing and imagery choices in their written communications including websites, apps and brands. The BDA has been publishing the guide annually for twenty years. It has been reviewed by researchers at the University of Southampton, who have collated the most recent research on dyslexia and readability. Recommendations include using sans serif typefaces like Arial, Verdana, or Tahoma, making fonts at least 12 pt with headings sized twenty percent larger than the normal text and for the first time looking at the spacing between letters and words which has an impact on readability too. This entry was posted in Uncategorised on 20 Jun 2018 by Rebecca Young. Sylvia gave an interview to Mike on Regal Radio this morning. This entry was posted in Uncategorised on 08 Jun 2018 by Alasdair Andrew. This event has unfortunately been cancelled. There is going to be an event in Edinburgh, focusing on the Secondary Curriculum. A key CPD seminar designed to help teachers develop a ‘core knowledge’ of dyslexia characteristics and their impact on learning – to help them adjust classroom practice to support individual learners and develop effective solutions. The approaches to develop effective reasonable adjustments that can minimise/remove those barriers (this will include access arrangements for exams). Product presentations and supporting notes that make the connection between matching the appropriate AT solution with the needs of the learner. A delegate pack of resources and a Certificate of Attendance will also be provided on the day. A free copy of one of the 25 titles in the series the ‘Supporting Dyslexic Learners in the Secondary Curriculum’ by Moira Thomson MBE, will also be included. (Available for either the English or Scottish curriculum). Moira Thomson MBE. Iansyst ltd is pleased to be working with Moira whose career includes many years as an experienced teacher and development officer who managed a Support for Learning team in a large Edinburgh secondary school. Moira has previously been chair of Dyslexia Scotland South East providing advice and support for children and young people with dyslexia. Moira is a member of a team appointed by Scottish Government Ministers to be independent adjudicators for Additional Support Needs dispute resolution. 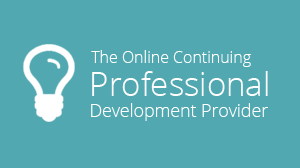 As an educational consultant and assessor, Moira is an experienced CPD provider with a focus on dyslexia. 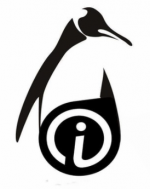 Iansyst ltd presents the very best AT software and hardware suppliers. At the seminar delegates will be able to try out a range of products to include: Scanning Pens, MindView, Kaz Typing Tutor software, No Isolation Avatar, Literacy Software, Hard of Hearing Devices. New to the UK, the ‘No Isolation’ Avatar robot enabling learners at home to be able to participate in the classroom in real time. Edinburgh Zoo will provide free passes for all delegates that attend. Delegates are welcome to visit the Zoo (and the Penguins Parade which starts at 2.15pm). This entry was posted in Uncategorised on 01 May 2018 by Alasdair Andrew. Researchers in the Faculty of Psychology at the University of Iceland have published findings in the journal “Cognition” which seem to show that there is a connection between dyslexia and visual processing. They claim that the dyslexic subjects in their experiment had ‘abnormal face processing’ and exhibited ‘specific deficits in high-level visual processing’ which they say explains their dyslexia. Theo Paphitis has told Business Leader that his dyslexia has helped him in his career as a successful entrepreneur. He claims that it led to him creating a whole new world for himself in finding alternative solutions from the norm for processing and analysing information. Skills that he employs in running his businesses of Ryman, Robert Dyas and Boux Avenue. Richard Branson has given an interview to CNN Money about his life and career from being thought to be the ‘dumbest person at school’ due to his undiagnosed dyslexia to making his mark in a number of different business sectors including the record industry, mobile phones, trains, cruise ships and planes. He values taking risks in business and learning from any failures along the way. This entry was posted in Uncategorised on 30 Apr 2018 by Rebecca Young. Andre Agassi’s Early Childhood Neuroscience Foundation has teamed up with Square Panda to fund a dyslexia-assessment game called Readvolution , which they hope to make available for universal screening for dyslexia in the U.S.A.
Angie Fox has written a lively article about understanding her daughter’s diagnosis of dyslexia. They live in Australia where dyslexia is not reliably recognised or catered for despite legislation since 1992. She can tell her daughter has many positive traits like the ability for Big Picture Thinking, problem solving skills, innovation and creativity. Her daughter was diagnosed aged 7 when she was tested privately at a cost of $1,200. She has received hundreds of hours of private, one-on-one intervention at $95 an hour. Angie knows that her family has been lucky to have the resources to support their daughter in this way. She feels the Australian education system is unfair to dyslexic children. This entry was posted in Uncategorised on 31 Mar 2018 by Rebecca Young. Richard Branson writes about how the founder of IKEA, Ingvar Kamprad, had dyslexia, which led to two of the innovative features of the way the company operates. The features are the use of memorable Swedish names and places to identify products rather than individual number codes and the use of pictures with no words on the assembly instructions. 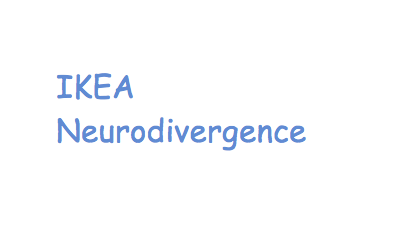 Dyslexia made IKEA! HR magazine Re:locate Magazine reports that only 10% of HR professionals in the UK say that neurodiversity is included in people management practices despite the statistic that 10% of the UK population is neurodivergent. This inevitably means that neurodivergent individuals are unable to reach their full potential in the workplace and that the workplaces are missing out on using the unique strengths of their neurodivergent staff. Uptimize and the CIPD (Chartered Institute of Personnel and Development) have produced a guide called Neurodiversity at Work, which covers many issues including making your people management approach neurodiversity smart and how to build an inclusive, neurodiverse workplace. Read more at the link given. This entry was posted in Uncategorised on 28 Feb 2018 by Rebecca Young. 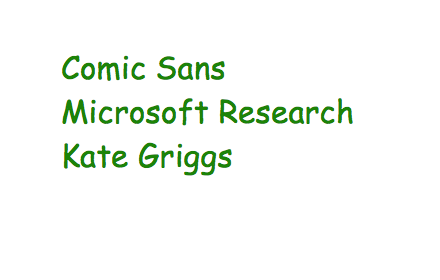 Jon Severs writes an exploration of the complex views and opinions around the use of the Comic Sans font in schools in The Times Educational Supplement. The much-derided font is widely used in educational settings for worksheets and displays with many teachers feeling that it is helpful for dyslexic pupils and for teaching handwriting but Severs claims that the research does not back up these supposed benefits. His overall conclusion is that it is the spacing of letters on the page rather than the letter shape that is the key to readability. Meredith Ringel Morris, Adam Fourney, Abdullah Ali and Laura Vonessen, researchers at Microsoft Research, University of Washington have investigated the needs of web searchers with dyslexia. Web search is an important modern literacy skill and dyslexia creates an accessibility issue for the process. The challenges faced are query formulation, search result triage and information extraction. The researchers found that people with dyslexia valued being able to use voice input to circumvent spelling challenges. They feel that search engines and websites need to change their user interfaces to be more accessible and user friendly. Kate Griggs, Founder of the charity Made by Dyslexia has given a TEDx Talk in Brighton expanding on her view that dyslexia is an advantage, not a disadvantage. According to yougov research commissioned by Made by Dyslexia, only 3% of people polled saw dyslexia as an advantage. Kate outlines her objection to mainstream education, which she feels takes away children’s natural creativity. This entry was posted in Uncategorised on 31 Jan 2018 by Rebecca Young. 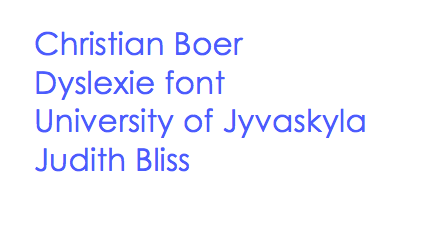 We report on two conflicting news stories published on the same day about Christian Boer’s Dyslexie font developed specifically to help dyslexics. We have covered this topic before back in June 2017 when reporting on the publication of “Muriel’s Murals” by Dean Wilkinson and Rebecca Morton which used the font. Meanwhile researchers at the Behavioural Science Institute and Department of Special Education at Radboud University, Nijmegen, The Netherlands have reported on their findings on studies of the effects of the Dyslexie font in the Annals of Dyslexia pp 1-18. They claim to have discovered that Dyslexie font does NOT benefit reading in children with or without dyslexia. Separate studies claim that there is no difference between reading speed whether Dyslexie font or Arial font is used. Marinus et al (2016) claim to have discovered that if Arial font is matched with Dyslexie font for within-word and between-word spacing, reading speed is the same for both fonts. They conclude that if indeed Dyslexie font aids reading it is not because of the design of the shape of the letters but because of the increase in word spacing it uses. Researchers from the Department of Psychology at University of Jyvaskyla, Finland and Jyvaskyla Centre for Interdisciplinary Brain Research have discovered a longitudinal interaction between brain and cognitive measures on hearing speech taken when the babies are just 6 months old to their reading development when they reach the age of 14. The children in the long-term study had one or both parents with dyslexia so had an inherited risk. This discovery could save years of waiting to see if the child has dyslexia and allow much earlier intervention and support. This entry was posted in Uncategorised on 31 Dec 2017 by Rebecca Young. Our final item last month dated 18 October reported on the research by French scientists Guy Ropars and Albert le Floch who claim to have found evidence that dyslexia is caused by physiological differences in dyslexic people’s eyes. Their paper garnered extensive coverage in the media, which is why it appeared in our round up. Since then though rebuttals of the theory have emerged and we report on them here. Mark Seidenberg, a cognitive and neuro-scientist based at the University of Wisconsin writes a powerful rebuttal of the French scientists Guy Ropars and Albert le Floch’s study. He feels the paper is a ‘terrible article’ and will have a ‘harmful impact’. He states that there is no single cause of dyslexia and that dyslexia is a spectrum condition. Read his forthright blog below. A further detailed report on Mark Seidenberg’s rebuttal of Ropars and le Floch’s study appeared in Tucson News Now adding in criticisms of the research made by Jack Fletcher of the Department of Psychology at the University of Houston and Joe Elliot, researcher at the University of Durham who stated that in his investigations of research on dyslexia any explanation based on vision ‘always turns to dust’. Scotland held its Dyslexia Awareness Week (as it always does a month after England, Wales and Northern Ireland) on 6-11 November. The theme this year was Positive about Dyslexia. Click on the link below to read Dyslexia Scotland’s round-up report on all the events that took place including the launch on 9 November of their new website for young people with dyslexia which is called Dyslexia Unwrapped and can be accessed directly by clicking on the second link listed below. Nancy Gedge, consultant teacher for Driver Youth Trust wrote an article for the TES about the lack of but undeniable usefulness of specialist teachers who have undertaken qualifications at Level 7 in dyslexia and literacy difficulties. The awards are governed by the various dyslexia charities and mean that the teachers holding them are able to assess and diagnose dyslexia and suggest interventions or teaching styles that will benefit the student. She adds that the adjustments can be something as simple as changing the font you use in class, or adding bullet points or numbers to lines to help dyslexic students find their place in the text. 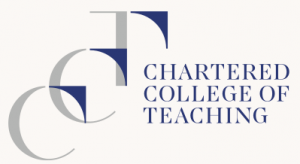 Professor Margaret Snowling, from St John’s College, Oxford has taken part in a half hour long podcast with the TES. She discusses the importance of early intervention for dyslexic children and how dyslexia is a continuum from mild to severe. Listen to the whole discussion at the link below. This entry was posted in Uncategorised on 30 Nov 2017 by Rebecca Young.